A sturdy pair of good work boots, by nature, tends to go under-appreciated. That’s because a truly great pair allows you to concentrate on your job without ever once thinking of your feet. They simply hum along in the background, supporting you without complaint. They are, in fact, workmanlike themselves. Now, show up for a long day of work with inferior footwear, and you’ll know right away — not to mention later that night and when you wake up achy the next morning. The wrong pair of boots can leave your feet with inadequate insulation, subpar protection, and shoddy support. These issues can be irritating at best, and dangerous at worst. Work is hard enough without being undermined by lousy boots. Whether that’s happened to you before or you’re looking to make sure it never does, this list can put your soul — and soles — at ease. Below you’ll find six of the most comfortable work boots on the market. 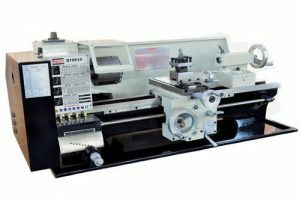 Though each model is unique in its particular combination of specific strengths — be they grip, toughness, warmth, or style — they are bound by one common trait: comfort. These boots will make your feet forget they’re working, so the rest of you can focus on what matters: getting the job done. So here’s what we think are the most comfortable work boots that you can buy. THE GOOD: With a shock-absorbing nylon shank, resistance to oil, water, and wear, and an optional steel toe, the Wolverine Men’s Moc-Toe 6″ is a jack of all trades. The model’s genuine leather exterior lends both durability and classic style, while its springy rubber sole and removable footbed offer hours of stress-free support and supreme comfort that rivals even some sneakers. 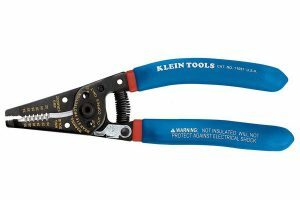 This blend of versatility and reliability means the Moc-Toe is equally appropriate for construction, roofing, and, indeed, all forms of manual labor. The aforementioned sneaker-rivaling comfort is aided by the notably low to nonexistent break-in period. Whereas some otherwise fine work boots can take weeks or even months of wear to soften and mold to your feet, the Moc-Toe arrives ready for the worst you can throw at them. THE BAD: So long as your worst doesn’t include excessive moisture or extended treks, that is. Notable downsides include the lack of full waterproofing, and reports that the boots’ considerable comfort, while ideal for standing still, doesn’t hold up under heavy walking. Experiences also vary widely with respect to the soles’ staying power. Some customers report that their Moc-Toes remain in tip-top shape after three years of wear, while others say their boots’ soles have worn thin after mere months. 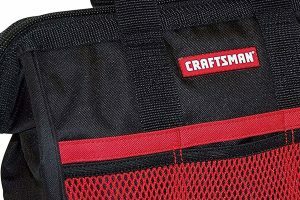 Others also report difficulty finding a pair with the right size, though this can of course be remedied through the addition or subtraction of removable linings, or, if need be, an exchange. Just be sure to take note of your retailer’s return policy if you aren’t trying on the Moc-Toe in person. 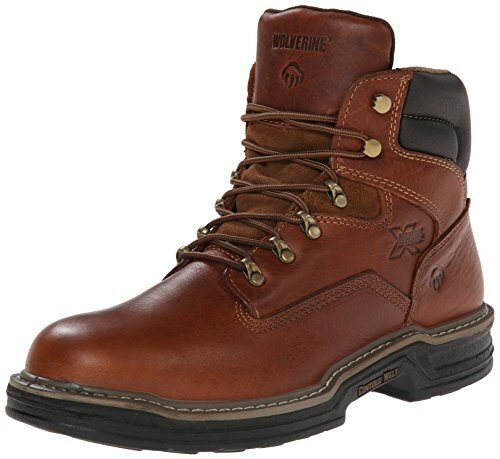 THE VERDICT: Overall, the Wolverine Men’s Moc-Toe 6″ represents a solid option for workers who demand adaptability to a wide range of environments and instant comfort. Just take heed if your job entails significant moisture or long periods of walking. A top class comfortable work boot for all weathers. THE GOOD: Since introducing their waterproof leather boot in 1973, Timberland has been an industry leader in quality work footwear. Their PRO series’ Boondock 6″ Comp Toe model does nothing to betray that long tradition. The Boondock’s safety and element-proofing features include deep grooves for superior traction, electrical hazard insulation, and, as the name suggests, a composite toe that offers impact protection without compromising on comfort. But the Boondock’s real strength is the waterproof insulation. Not only is the Boondock’s leather exterior specially treated to repel moisture, but it includes an impermeable membrane to keep your feet dry even when submerged in shallow pools of water. The Boondock boasts Timberland’s exclusive Anti-Fatigue Technology engineered specifically for workers who spend their days on their feet. This includes a shock-absorbing support system and contoured insoles designed to keep your feet fresh and strong hours into any job. The Boondock also features a fiberglass shank that provides comfort on uneven surfaces, as well as moderate puncture protection. These features, designed with comfort in mind, are bolstered by a minimal break-in period, not unlike the Wolverine Moc-Toe. THE BAD: Unfortunately, also like the Moc-Toe, the Boondock can be difficult to size. The model tends to run wide, so be prepared to layer your socks and tighten your laces, particularly if you have narrow feet. Even if the width proves adequate, you may be bothered by the boot’s bulk. Depending on your size, the Boondock can weigh in at over 2.5 pounds per foot — and that’s without a steel toe. 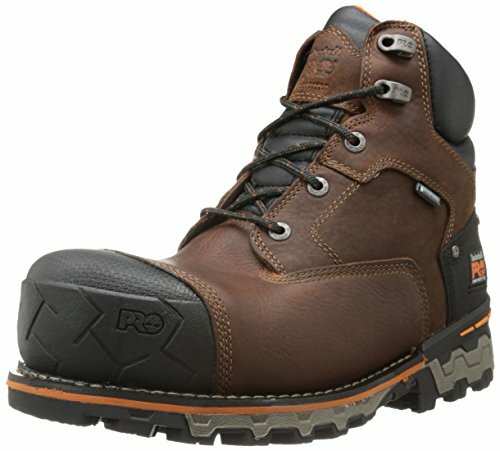 THE VERDICT: All things considered, the Timberland PRO Men’s Boondock 6″ Comp Toe is a fantastic work boot that’s designed to offer industry standard safety and element-proofing features — including waterproofing that means business — without skimping on comfort…as long as you don’t have especially narrow feet. 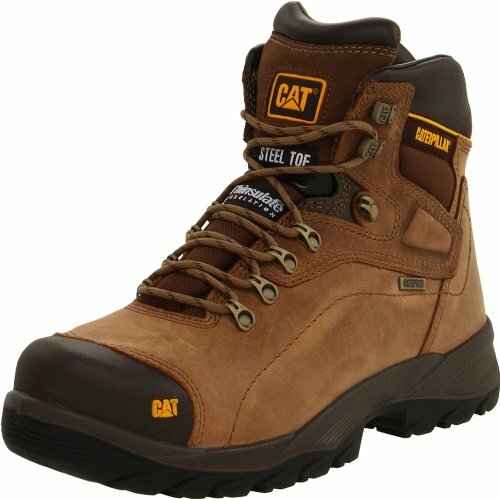 A very comfortable work boot and affordable to all. 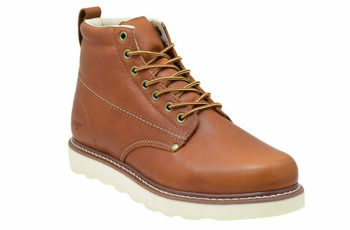 Read more on Timberland with our handy run down of the Best Timberland work boots. or improving upon — everything we loved. This starts with the addition of Wolverine’s patented Multishox comfort system. The three levels of this system — namely multiple shock-absorbing pressure pads in the sole, a super-flexible arch, and a comfort gel in the footbed for superior cushioning — add up to one great feeling shoe, whether standing still or on the go. Sizing and durability issues present in the Moc-Toe have largely been remedied, meaning your Raiders will be there to support you for years to come. The attractive, 100% leather exterior is a nice bonus, giving the Raider a touch of style uncommon in a work boot. But don’t make the mistake of thinking that the Raider is just a pretty face. In addition to the standard safety features of any high-grade work boot — reliable traction, slip resistance tested on both water and oil, an abrasion-resistant outsole — the Raider is available with an optional steel toe, should your job warrant extra insurance against impact. Models with electrical hazard protection are also available. THE BAD: One of the few but notable features not offered on the Raider is waterproofing. You should be fine in light rain, but anything heavier might leave you with some wet feet. 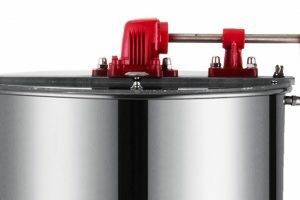 Similarly, the Raider is best suited for moderate climates, and may not hold up in particularly hot or cold environments. THE VERDICT: For those who live and work in generally temperate, dry conditions, the Wolverine Men’s Raider 6″ is among the best options. This is a comfortable, highly customizable work boot that has the added bonus of looking as good as many pairs of dress shoes. THE GOOD: Pittsburgh is a tough, blue-collar, steel city, so this offering from KEEN has — pardon the pun — big shoes to fill. Among the things filling these shoes is a metatomical footbed specifically designed to support the arches and cradle the foot, making for one comfortable wear. The secret lies in KEEN’s ingenious decision to base the design on hiking boots, ensuring that your feet will stay strong no matter where the job takes you. This emphasis on natural comfort extends to a toe box — available as both a soft toe and steel toe — intentionally made to be asymmetrical. This simple, yet brilliant design feature maximizes toe room, mobility, and protection. Among the other tricks in the KEEN Pittsburgh’s toolbox are slip-resistant rubber soles, electrical hazard protection, reflective webbing, and impressive waterproofing. THE BAD: Though waterproofing is always a tempting — and, in some cases, essential — feature, the Pittsburgh’s proprietary KEEN.Dry membrane seems, unfortunately, as prone to keeping the elements in as keeping them out. Despite being pitched as breathable, these boots can retain a fair bit of heat and, consequently, sweat, making them a questionable option for work in warm, humid climes. THE VERDICT: With their hiking boot-derived design and asymmetrical toe box, the KEEN Men’s Pittsburgh 6″ Boots were made with comfort in mind and durability in their name. 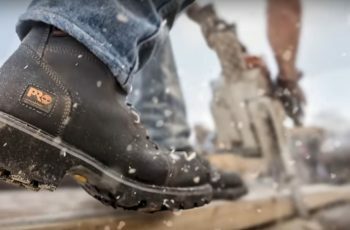 These are high-quality comfortable work boots, though those who are prone to sweat or work in hot, moist environments may be forced to look elsewhere for a more breathable option — at least for the summer. THE GOOD: This attractive leather model from venerable apparel company Carhartt is a well-rounded, if unspectacular, option. Polyurethane cushion insoles and a FastDry moisture-wicking, breathable lining keep your feet feeling as good as they’ll look in this handsome, oil-tanned boot. But make no mistake; this is a boot of the trenches. The default steel toe meets industry standards, while the electrical hazard lining protects you from up to 18,000 volts in dry conditions. The model also boasts reinforced steel shanks, a 90-degree heel perfectly tailored for climbing, and open edge lugs for traction you can count on. THE BAD: Despite the aforementioned FastDry moisture-wicking, these boots are not waterproof, so you’ll need to be sure to have a back-up plan for rainy days. Customers also raised concerns about the durability and design of the model, particularly near the steel toe. Complaints ranged from shoddy craftsmanship leading to holes forming around the steel plate, to the toe being positioned too far down the shoe, causing painful chafing on top of the foot. 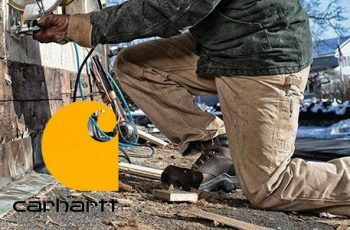 Carhartt work boots offers a similar model with a soft toe, but if your job necessitates the protection of a steel toe, you may be forced to look elsewhere. THE VERDICT: The Carhartt 6″ Safety Toe NWP Work Boot is a looker that also offers admirable protection from electricity and a standard steel toe. But reported issues surrounding that steel toe may make the soft-toe version preferable. 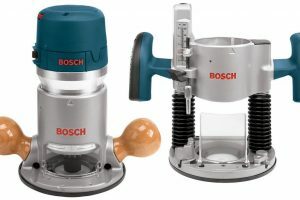 For those whose jobs insist on steel-toe toughness, there exist viable alternatives free of any significant trade-offs. THE GOOD: Though licensed by Caterpillar, the world’s leading manufacturer of construction equipment, the final boot on our list is, in fact, another offering made by Wolverine. The Diagnostic Hi Waterproof Steel Toe Work Boot comes equipped with the ERGO comfort system, engineered to mimic your foot’s contours and support natural movements. The Diagnostic Hi’s focus on being anatomically correct, unlike models with a flat design, offers flexibility, comfort, and the stability to stand tall wherever your day takes you. That versatility extends to the Diagnostic Hi’s considerable array of environment-specific features: slip-resistant soles, steel toes, electric hazard protection up to 600 volts, 200 grams of thermal insulation, and waterproof leather uppers. The Diagnostic Hi is a true Swiss Army knife of a boot that can hold up under almost any conditions. THE BAD: Just how long they’ll hold up is, unfortunately, another question. More than a few customers reported significant wear on the Diagnostic Hi’s soles after as little as two months of regular use. It’s truly unfortunate, because by every other measure this boot is among the most versatile on the market. But waterproof leather uppers only go so far once the sole gives way. THE VERDICT: For as long as it’ll last, the Caterpillar Diagnostic Hi is as complete a work boot as you’d hope to find. If you only wear your boots sparingly or need something to bridge the gap until your next long-term pair, the Diagnostic Hi should perform well for as long as they hold up. Just know that that may not be long. I hope our comfortable work boot guide has given you plenty of purchasing inspiration for your next comfy work shopping expedition. For more on all things work boots, head over to our Work Boot Section where we have plenty more guides for you.